Periodically, the studio hosts guest artist instructors and special events. Recent visiting artists have been: Peter Madden (artists books) Christiane Corcelle (carborundum) Julia Talcott (woodcut). 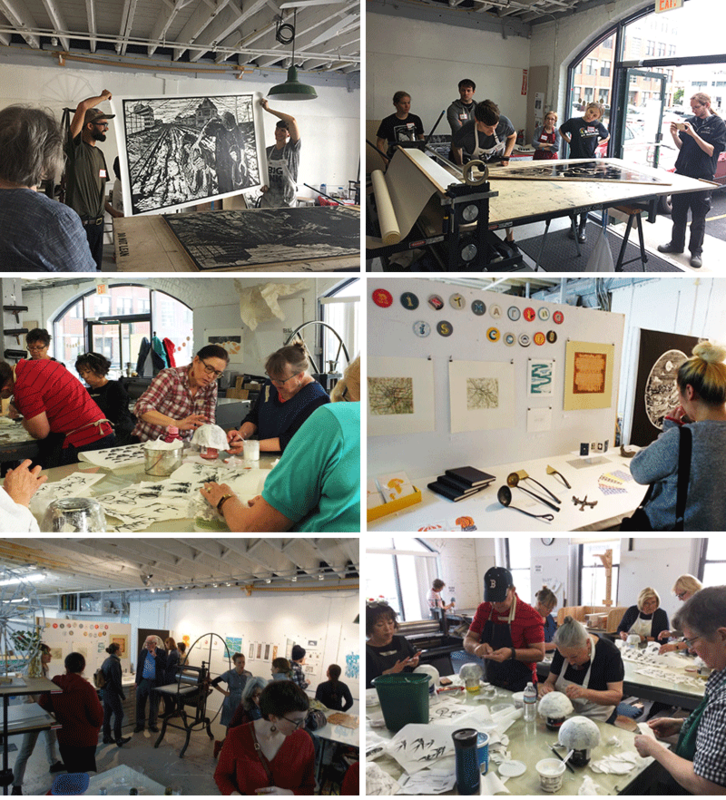 In 2017 the studio hosted Big Ink, the brainchild of Lyell Castonguey, for a weekend of printing giant woodcuts. Lyell travels the country with his oversized press. He organizes a network of creative thinkers focused on carving, printing, and promoting the art of large-scale relief printing. Other collaborations include a papier-mâché bowl workshop co-hosted by the Society of Arts and Crafts and taught by Liz Shepherd.